OMEMO conversations work in Monal. There is still a lot work to be done here to properly handle keys and make UI elements in OSX and iOS for all the the new interactions. There is a lot that also needs to be tested before this is in ready for the App Store. Realistically, expect to start seeing this stuff in the binaries I release some point in August. 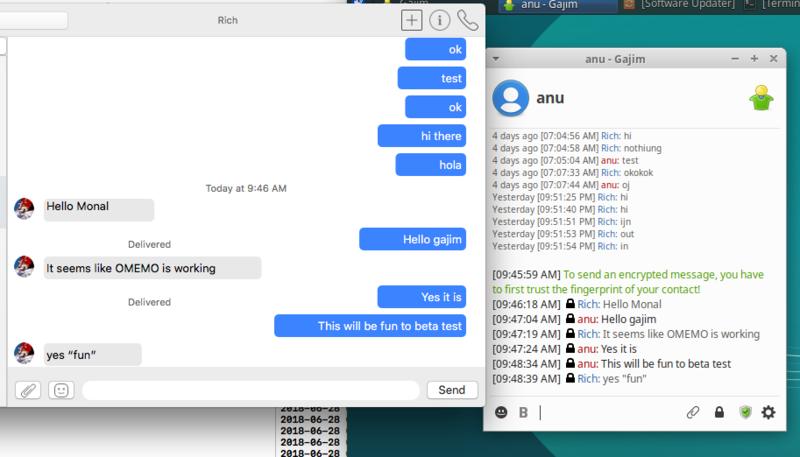 I have tested this with gajim on linux and chat secure on iOS. Will have dust off an android device somewhere to try it with Conversations.